Day 10 – Think about the possibilities! This morning we decided one team was going to tease off of the pinnacles, while Mike Lasota, Mike Bosma and I decided to walk the amazing flat from yesterday. I had lucid bonefish dreams from the evening before and the thought of walking that flat again and possibly seeing those big bonefish and big milkies co mingling in paradise made it so I could barely sleep that night. 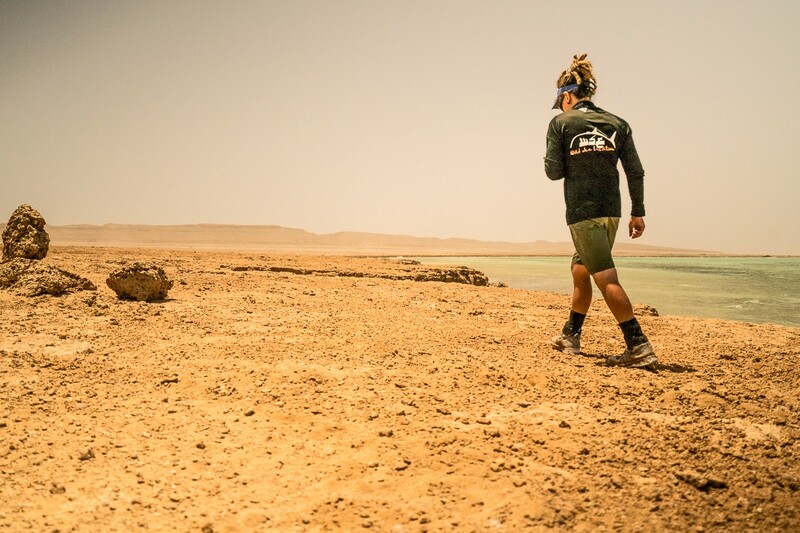 We got an early start and headed to the most peculiar and expansive flat I have ever walked. Mahmoud droped us off as if we were storming the beaches of Normandy in our Higgins boat, and plopped the four of us every 50 yards across the flat. I walked the outer edge where the water looked like the sky and began my routine. I walked, and in my holster on my hip I was not afraid to carry my 12. After all, they say Sudan is an open carry state. I trailed behind me a 30 foot loop of line on my 9 weight so that when I saw a fish I could quickly water load my cast and get the fly there quickly. I had the sun at my back and there were crabs scurrying away from my feet with their claws up in the air ready to do battle with the BFG. There were coral heads all around me harboring a zillion beautiful species. It was hot as hell. I started seeing alot of triggerfish around me. I found it hard to pick them out as I was also looking for big GT’s, bonefish, milkfish, and permit. I remember seeing a school of bonefish a couple hundred feet from me swimming across a white sand flat completley undisturbed. I finally saw a tailing triggerfish not 30 feet from me. It was a massive yellow margin trigger and boy it was happy. It was feeding in the turtle grass so I crept up and started my cast. With a perfect landing of the fly across from the trigger I gave one strip and the trigger perked up and sped twords my fly. Now the water is perfectly clear and I can see every little thing happening now. I tried to crab walk my fly and keep it in his field of view. I felt him trying to pin it in the grass so I stopped stripping but managed to keep my line tight. I finally felt enough force to set the hook so I gave him a firm strip set with my rod pointed at the fish. 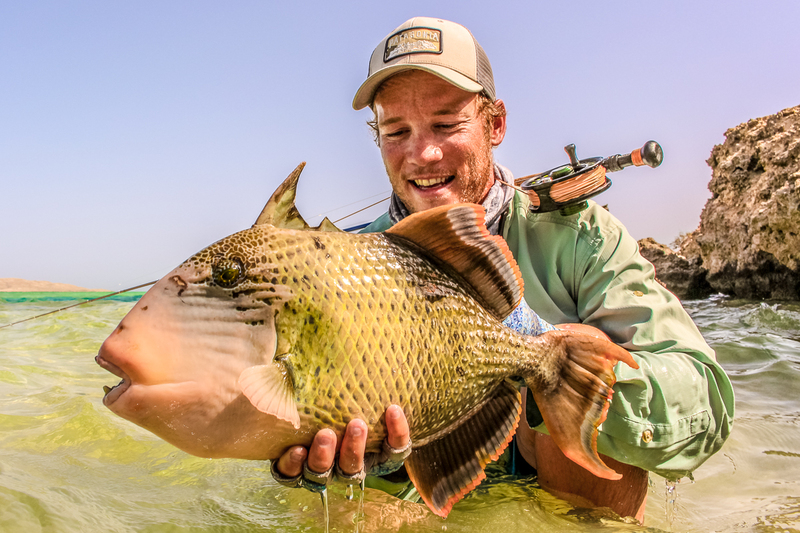 Immediatley this monster triggerfish ripped across the flat and I heard my line slicing throught the water. I had alot of confidence in my triggerfish game now and thought this was going to be my first landed triggerfish of the trip. I played him smart, didn’t put too much tension on him and started reeling him in. 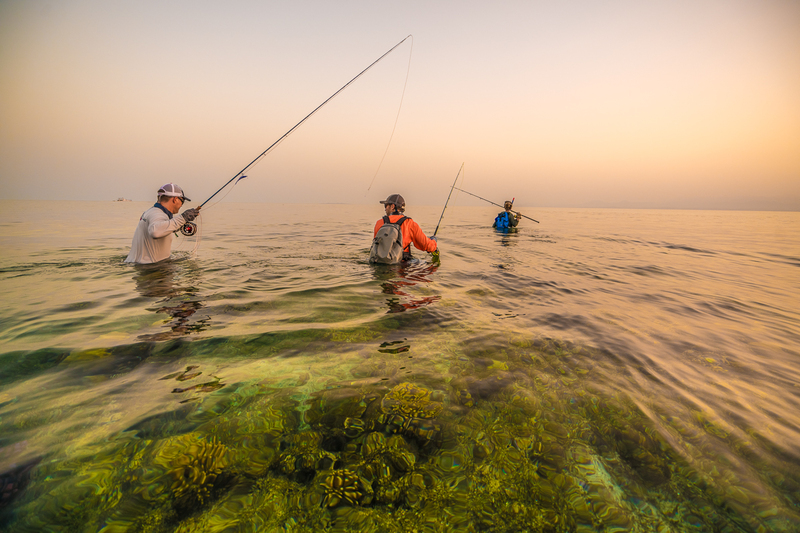 All of the sudden I felt my line loosen and the triggerfish sped off. My heart sank for the fourth time in Sudan when I reeled in and found that he had chewed through the hook (again). Frustrated, I retied another one of my favorite crab patterns on and kept walking. For the next hour I saw incredible action but didn’t hook a thing. I saw a school of milkies coming at me. I saw numerous titan triggerfish and yellowmargin triggerfish. 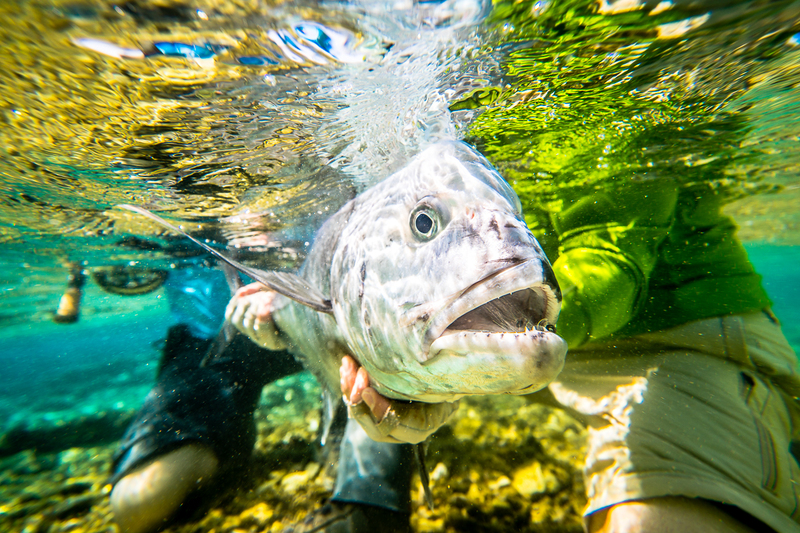 I saw bonefish in the skinniest water imaginable. We headed back to the boat for lunch and I’ll admit I was a little dissapointed in myself for the morning session. I had so many shots at fish and the flat was so alive I felt like I should have landed something. We met up with the other group and they had the most insanely productive teasing session imaginable. I couldn’t help but feel a little jealous and wondered if I should have gone teasing instead. Whatever I enjoyed their stories about monster GT’s and sharks and break offs. 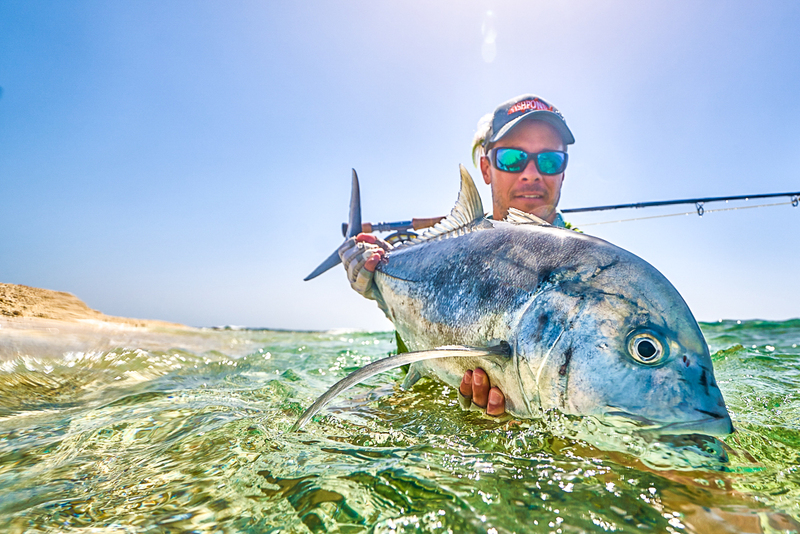 Conngrats to my friend Wade Arnold for landing the second GT of the trip! Our plan after lunch was to sail to little snake island and spend the next two days there. We took a little break up on the top deck and I think three of us fell asleep. When we woke up we happened to be in paradise. Little snake island was a 5 acre island surrounded by amazing structure. Coral heads, white sand, and a maze of channels dotted the perimeter of this desperate looking island on the edge of nowhere. We split up and started walking sometimes in pairs and other times, solo. You could choose to walk the cliff edge of the island looking for triggers, or wade in the water and possibly spook them. I chose to walk the edge of the island which gave me a 20 foot elevation gain. I could see everything moving near and far. Casting from up there was the easy part, landing a fish would prove to be difficult though. A few times I jumped in the water to cast at fish further out but couldn’t seem to get them interested. Finally the moment was upon me to catch my first trigger fish of the trip. I could feel it happening right in front of me, and I wasn’t going to let the opportunity pass. I saw a big triggerfish with his tail up in the air. He/she was only 20 feet off of the rocks in about a foot of water. I was 20 feet up in the air standing on 2 million year old rock. I contemplated scaling the cliffs down behind the fish and walking up to him. Instead I just decided to start casting and with a few false casts I landed the fly within his view and he came right over to it and inhaled it. I could see it all so well as it was happening right below me. The fish then took off and I set my drag and enjoyed the ride. I then tried to fight the fish and scale the cliffs to get on his level. 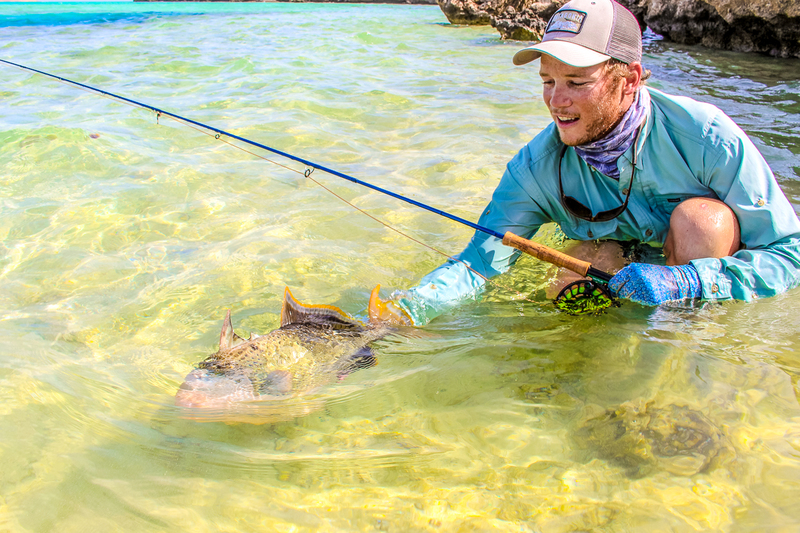 It was a sketchy moment and after much anxiety I was in the water with a big yellow margin triggerfish on the end of my fly pole. I started yelling for Fede our Italian guide as I could see him about a football field away. He noticed I was hooked up and came running. My fish then did the craziest thing and swam for this massive blue hole in the reef right off shore. I ran to the edge of the blue hole and starting lifting and then reeling down and repeating this until I could see the fish. I then put extra pressure on him and managed to land my first triggerfish of the trip! I was in a state of elation to finally scratch that one off the list! 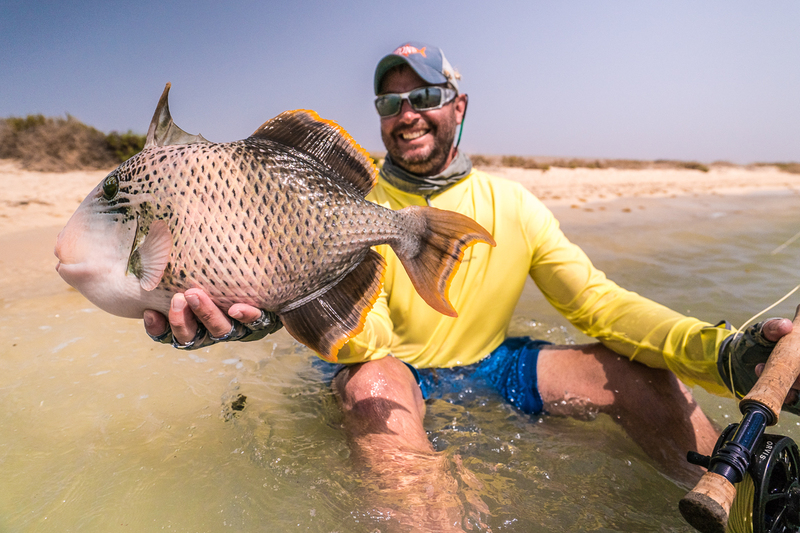 While I was landing mine I later found out that my flats mate Mike Bosma had also landed his first trigger fish as well. Congrats Mike on this robust yellow margin triggerfish! Congrats Mike Bosma on your first yellow margin triggerfish! It was an incredible afternoon that ended in us teasing the edge until dark. Michigan Mike hooked into a big GT that ate the fly right in front of us but managed to shred his fly line when it made it over the edge. 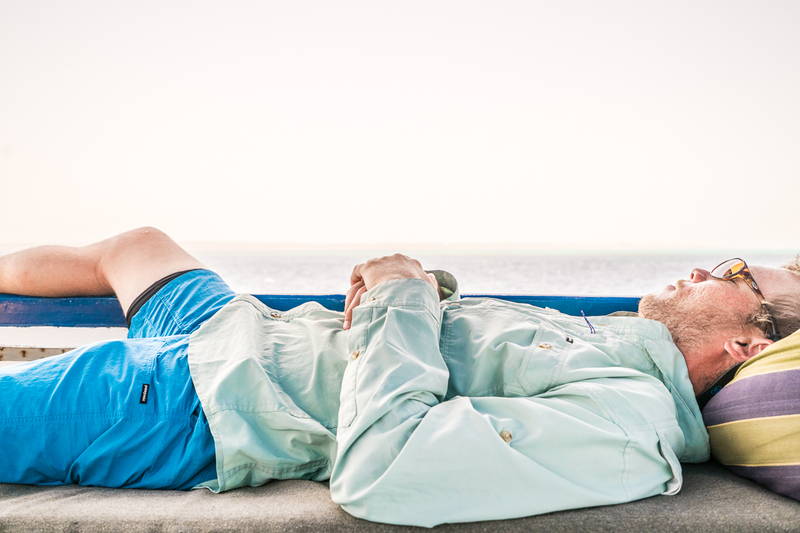 Our teasing session didn’t last long and before long we headed back to the boat and traded stories from the day. In my mind I ran through every scenario from the day. I couldn’t believe the possibilities!